Traditionally, the beginning of the year is a healthy antidote to the indulgent Christmas festivities and those new found resolutions are still going strong come spring season. However, the party never stops in HK and there are limited windows to detox in the city that celebrates New Year twice! Hello hangovers. After feeling heavy and lethargic for one Monday morning too many, I decided to get involved with the latest health trend: juicing. As a long term devotee of the gorgeous goddesses at Genie Juicery, this was my first and only choice for three days’ worth of green goodness to flush out those toxins and give my body a chance to recuperate and rejuvenate. Typically, I am not a fan of fad diets or restrictive eating habits, as I am convinced that they are unsustainable in the long-term. There was no denying that I was in a food rut and my choices had become motivated by convenience and compulsion, rather than consideration for my body’s needs. I seriously needed to check myself, regroup and revaluate my lifestyle choices. 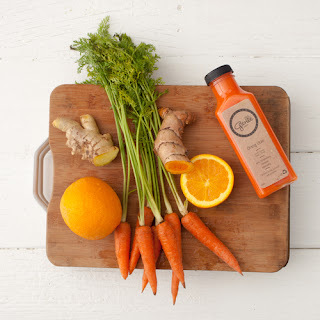 A juice cleanse appealed to me, particularly because I looked upon the process as the perfect opportunity to kick start a healthier eating pattern and inspire a more mindful attitude towards food preparation and consumption. Before my cleansing crusade began, I had tried a wide variety of Genie goodies, so I knew that I wasn’t going to be faced with bottles of bizarre brews. I can wholeheartedly say that every juice I consumed was fresh, tasty and actually, quite a pleasure to drink. I must admit that I wasn’t entirely schooled up on exactly why it is more beneficial to drink fruits and veggies. 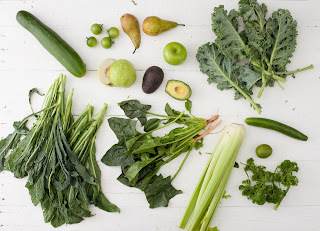 I turned to the Genie Bible (a comprehensive breakdown on the benefits of nature) and I learned that fruits and veggies, in their raw form, are super sources of vitamins, minerals and enzymes. The hype is real, folks and I have heard that people who consistently drink raw, enzyme-rich juices feel more energetic, have clearer skin, healthier hair and nails and stronger resilience to infection. Sounds like all round #winning. And now, for the sciencey bit: drunk in their juice form, these valuable nutrients pass rapidly through the blood stream and are 100% absorbed by the body, because there is no solid food ingested to get in the way of this process. I was intrigued to try this myself and hopefully reap some of the rewards. The week before Mission Detox, I had an extensive consultation with the Genie gurus who analysed my lifestyle, schedule, work commitments and personal taste buds. 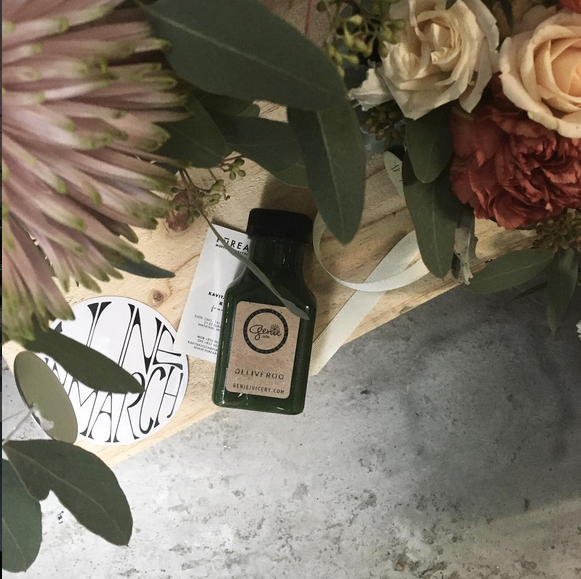 It was recommended that I try their newly released Wedding Cleanse; a custom designed raw, vegan, gluten free and cold pressed blend of nourishing delights. Although this cleanse is targeted at brides-to-be, the promise of dewy skin, silky smooth hair, boosted metabolism and a flatter tummy is something that all of us ladies covet and are striving to achieve. 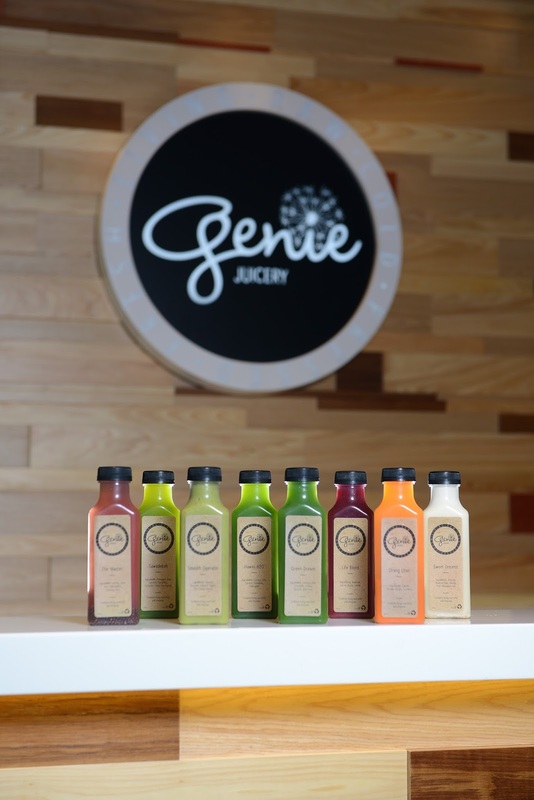 The Genie Wedding Cleanse consists of drinking eight juices per day, for three consecutive days. Each morning, I received a cooler pack that contained The Master, Bo Yo, Green Dream, Life Blood, Watermelon Chia Cooler, Vitamin Sea, Crazy for Coconut and Sweet Dreams. I chose to swap out Watermelon Chia Cooler for Garden Gnome, simply because of my own personal preference. My request was absolutely no issue and I was thoroughly impressed by the flexibility of the Genie gals and their paramount concern for the comfort and care of the client. Each bottle was conveniently labelled with a number, so it was clear when to drink each juice. Totally hassle free. The Master was the perfect replacement for my usual cup of steaming espresso and was just tart enough to wake me up in the a.m. with a zing, before indulging in the luscious smoothie, Bo Yo. Green Dream was the ideal pallet cleanser to make way for the most surprisingly enjoyable addition of the lot: Life Blood. I say this because I was foolishly prejudiced and decided that beetroot was not to my taste and therefore, I would dislike this juice. Well, let’s just say that Genie showed me! It was the perfect blend of sweet and sour, with a consistency just thick enough to fill me up, yet still very easy to digest. The ultimate star of the show for me was Sweet Dreams - a delectable vanilla almond milk to savour before bed time. I genuinely looked forward to this all day long and tried extremely hard not to gulp it down in one go! Otherwise, the morning went without a hitch and I was revelling in the novelty of the juice varieties and excited to sample those that I hadn’t tried before. As the afternoon approached, I felt slightly shaky and began to suffer with a headache - due to the lack of coffee in my life. I knew that the caffeine withdrawals would be brutal but, as I am prone to headaches in general, this was the hardest part of the detox for me to deal with. To take my mind off my pounding temples, I packed my lunch time juice and went for a manicure. Any excuse, eh?! Despite the amount of liquid I consumed, I still felt thirsty enough to down two litres of water, hot lemon water and a peppermint tea, throughout the day. I reflected on the amount of times that I eat when I am actually not hungry at all or, just because it is a certain time of day. It was enlightening to consider food in a different context and it was incredible how much I started to appreciate the food that I usually take for granted. That night, I tucked up early with Sweet Dreams and slept soundly. I woke up before my alarm went off (which rarely happens!) and felt alert and full of energy. I did some light yoga stretching before tucking into The Master and pin pointed the juices that I was looking forward to later in the day. I felt fantastic and bright-eyed until late afternoon when the dreaded headache took over. I avoided taking my usual dose of paracetamol, as I thought it would interfere with the cleansing process and found alternative ways to rid myself of the discomfort. This was such a useful exercise and I will definitely be taking those techniques forward…step away from the medicine cabinet and the grande latte. During the detox, I never felt hungry as Genie has devised a genius menu to cover all of our nutritional bases. Interestingly, I craved healthy food and dreamt about a plate full of salmon and colourful veggies. One of my favourite results of this detox was the increase in my confidence to try new foods and I finally felt equipped to implement a real change in my dietary choices. I literally sprang out of bed and felt like I could run the world, Beyonce style. I decided that I was certainly going to incorporate juicing into my routine - most likely as a healthy breakfast option. My skin broke out a little, which is completely normal and due to all of those nasty toxins leaving the body. Thankfully, it was nothing a decent concealer couldn’t fix, so I covered those bad boys up and skipped out to take on the day. One of the most thought provoking aspects of my juicing journey was the realisation of just how much my eating patterns are determined by my psychology. Don’t get me wrong, it’s not like I sit down to two burgers and six beers a night, but I often eat and drink far more than I ever need to out of greed, boredom and lack of preparation. I resolved to listen to my body more carefully and fuel it with more organic and natural produce. The ability to endure a lengthy cleanse is often a case of “mind over matter” and the fact that I completed a successful detox has boosted my morale and given me the drive to attempt other challenges in the future. This was the easiest day for me, perhaps partly because I knew the end was nigh! I met a friend for a catch up and although I was momentarily distracted by the syrupy coffees on offer, I stuck to a green tea and discussed my experience with my pal, who happens to be an expert cleanser herself. In my case, this experiment was absolutely not about losing weight but I did track my lbs for the purposes of this diary. Over the course of three days, I lost three pounds but - much more importantly - I felt light and springy in that sickeningly smug and annoying way. Sorry! Everyone from my husband, to friends, to colleagues complimented the positive shift in my appearance which was just a lovely added bonus. I am totally converted to juicing and I think it is a very healthy practice to do, periodically. At the moment, I am planning to do this once every quarter, as I firmly believe in the detoxifying benefits of cleansing. Just think about all of the alcohol, salt, sugar, caffeine and processed foods that we expect our liver, kidneys and intestines to deal with every darn day. It’s the least we can do.